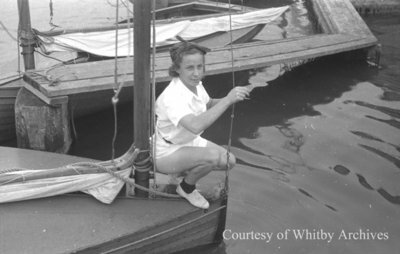 A black and white negative showing Eileen McBride kneeling down on the front of her boat at the Whitby Yacht Club in August of 1939. Eileen McBride Yachting, August 1939, Marjorie Ruddy. Whitby Archives A2013_040_669B.